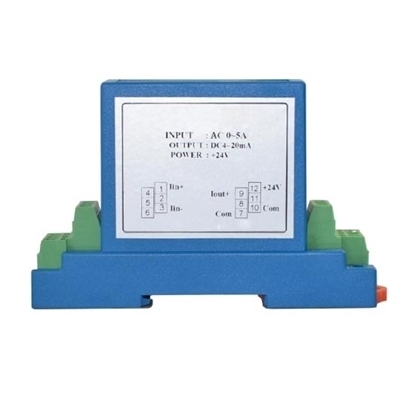 AC current sensor has measuring range of 1A/2A/5A/10A/20A/30A/50A to 150A. Tips: How to improve the performance of ac current sensor? Primary side wire of ac current sensor shall be placed in the center of the sensor hole, don't place it deflected. Diameter of the primary side wire shall fill the hole of the sensor, don't leave a big gap. The quantity of electricity to be measured should be close to the standard measurement rating Ii of ac current sensor. If conditions are limited, please measure the low level of electricity with a high measuring range sensor. 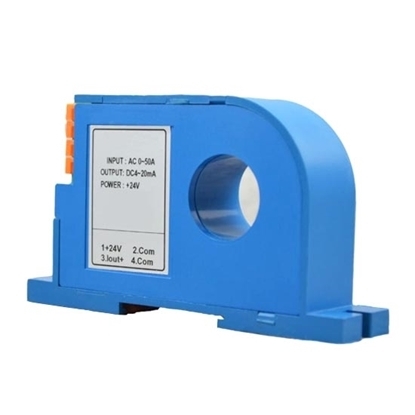 To improve the measuring accuracy, the primary side wire can be wound by several circles of N through the primary side hole, so as to ensure that ampere-turns Ni is close to the rated current Ii. In addition to the above methods, attentions shall also be paid to installation wiring, work environment and instant calibration. In order to obtain good dynamic characteristics, namely the quick reaction time and tracking velocity, the primary side wire shall insert the primary side hole solely. And the wire shall be full of hole. 3. 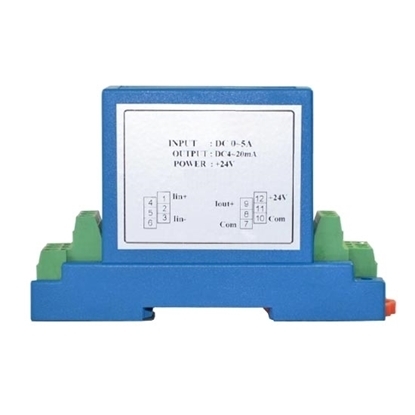 The temperature of primary side current line or flat cable shall not exceed 80℃. I used this current sensor for measuring motor current. Motor specifications: AC 380V, three-phase, 7.5kW. I selected current sensor 0-50A measuring range. The effect is relatively good. The error is relatively small, even for small current.